When it comes to snack time, we’re always brainstorming new ways to get our little ones eating healthy foods. A canvas of cheese, fruits, veggies, crackers and dips can be the perfect way to keep the kiddos satisfied after school, during lunchtime, at family gatherings, weekend playdates or birthday parties.. Check out this simple kid’s snack board, including a variety of healthy (nut and soy free) options. This board includes 3 of our favorite kid-friendly cheeses: Original Gouda, Original Havarti and Prairie Sunset. Our cheeses are always made with fresh, rBST-free milk from local family farms within 60 miles of our creameries, so we feel good about giving it to our kids, and we hope you do, too. When it comes to prepping an easy kid-friendly board, don’t get overwhelmed by what to include. If anything, just choose your kid’s favorite fruit, veggie, protein and cracker – it’s that simple! 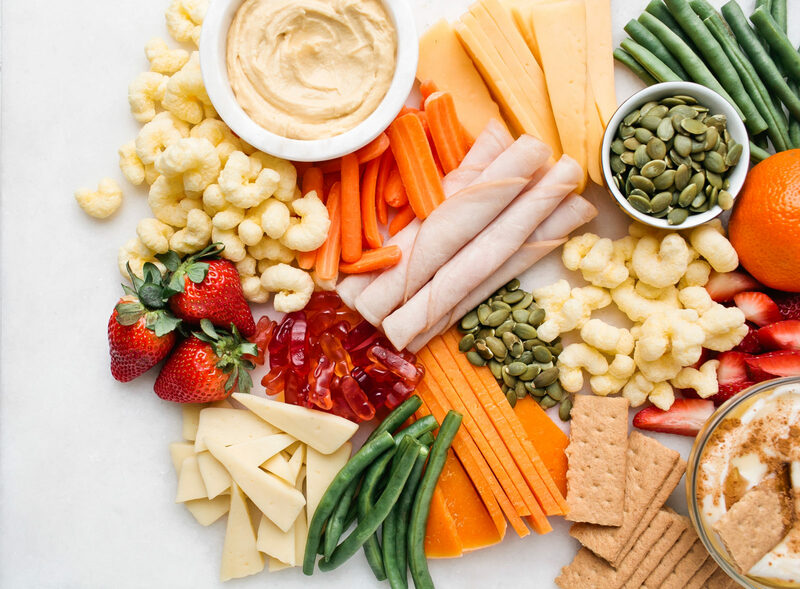 To complete the spread, we added savory hummus and sweet yogurt dips, because kids just love to dip their foods, and they add an extra healthy kick. Have you made a kids snack board? Tell us what snacks you used!